Europe’s biggest shoe retailer Germany-based Deichmann SE has entered into a long-term partnership with regional retail giant Azadea Group to enter the Mena market in the next few years. Azadea Group is a premier lifestyle retail company that has been operating across the Mena region for the past 40 years and currently operates over 50 leading international franchise concepts in fashion & accessories, food & beverage, home furnishings, sporting goods, multimedia, and beauty & cosmetics. The opening of the first store on the Arabian Peninsula under the Deichmann brand is scheduled for 2019 in Dubai. "We are aiming for further growth and keen to open up new markets. Having opened stores in France and Belgium last year, we are now represented in almost every country in Europe. So it is time for us to develop further growth markets," says Heinrich Deichmann, chairman of the Board of Directors of Deichmann SE. "We believe that there is huge potential for our concept of 'high-quality fashion shoes at an affordable price' in this region." 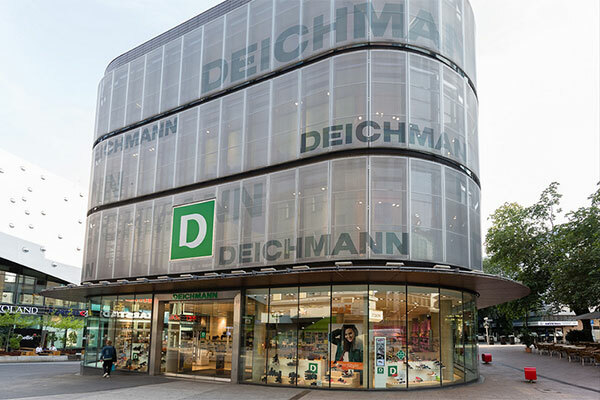 Deichmann is striking a new path with the expansion now planned: for the first time in its more than 100-year history, the company will be working with a franchise partner. "In the Azadea Group, we are pleased to have found a partner with many years of experience in using the franchise model and at the same time with proven expertise in the fashion sector as well as in the Arabian and North African regions. We see it as a major advantage to be entering a new region closely aligned with a local partner," said Deichmann.